Cirque du Soleil is back in Portland for a five-week run at the Portland Expo Center. The show Totem begins Thursday, March 27 and runs through Sunday, May 4. 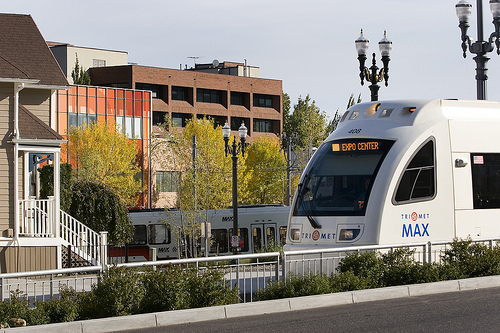 With the big top set up in the Expo Center’s parking lot, avoid parking hassles and hop on the MAX Yellow Line to head to the show. Trains drop you just steps away from the Cirque du Soleil tent! During the Cirque du Soleil run, those who use TriMet’s weekday-only Expo Center Park & Ride will see parking fees tightly enforced beginning at 10 a.m., which is standard. 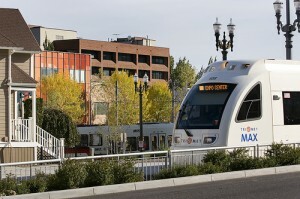 TriMet has access to 300 spots that are on a first come first serve basis and are only available for use Monday through Friday. TriMet’s closest Park & Ride to the Expo Center is the Delta Park/Vanport Park & Ride, with 304 spaces available seven days a week. During the weekend of April 4-6, the annual Portland Swap Meet will be held at the Expo Center. TriMet’s Expo Center Park & Ride spots will not be available on Thursday and Friday, April 3 and 4 due to the swap meet. With two big events – the Portland Swap Meet and Cirque du Soleil – that weekend, plan some extra time and expect crowded trains.